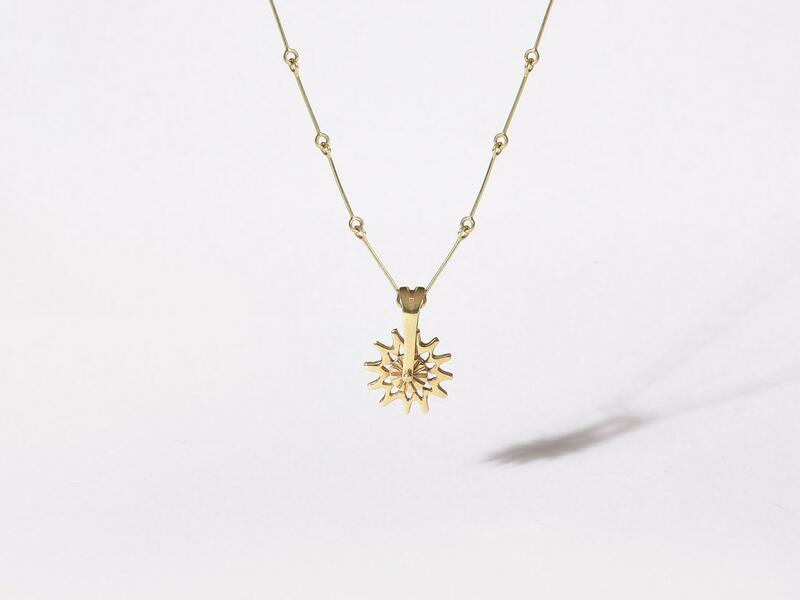 The Spur charm pendant is crafted in 18K Gold, hallmarked in Cyprus. It comes in a highly polished finish and spins just like a real one. It is matched with a hand crafted, linear chain in 18K gold, featuring a traditional spring fastening. The chain, standard 40 c.m. is sold separately and may be customised upon request- please specify by email. The Spur is symbolic of motivation towards the realisation of your goals.